Check out our Featured CFL Free Picks for similar articles. The Redblacks are the defending Grey Cup Champions and yet they’re staring up in the standings at the Argonauts. That, plus the fact that Ottawa did lose a home game to Toronto last season, absolutely ensures that the Redblacks bring the proper focus for this one. 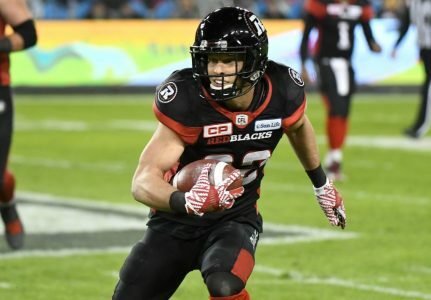 Keep in mind Ottawa’s first two games this season were both against Calgary and the Stampeders were the #1 team in the regular season last year and faced the Redblacks for the Grey Cup. Conversely, Toronto got hammered by BC last week after defeating a lesser team (Hamilton) in Week 1. The point is that the Argos already showed what is likely to happen when they step up in class and that is the case again here. The first two weeks of the season the dogs covered all 8 games but, as you might have expected, a shift has now taken place and the favorites have covered both games so far this week. This looks like another spot where the favorite, still winless on the season, is going to exert their will against an over-matched foe.